Check back regularly for updates on all the exciting work we have been doing in school. 11/06/2013: This week is Africa week in school. We are learning all about Africa. Today, we have researched the different countries in Africa, created powerpoint presentations and recorded some facts. Read the new article to find out more. Summer Term: This term our topic is Rumble in the Jungle. 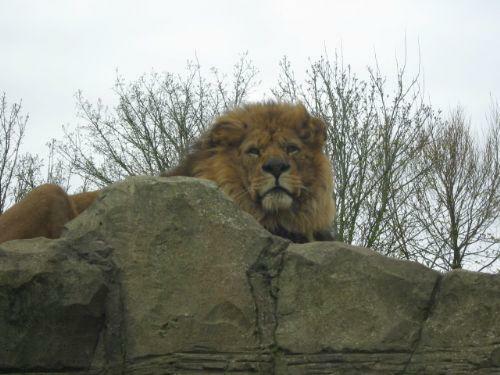 Yesterday we went on a trip to Blackpool Zoo- keep checking back as photos will be uploaded soon. New!- Big writer of the week, have a look under articles. 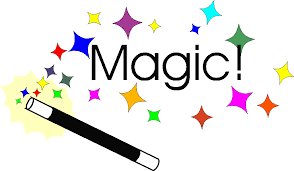 We have started a new topic: Magic. Check back for updates! We have had such a magical, marvellous day- read the new article to find out more! 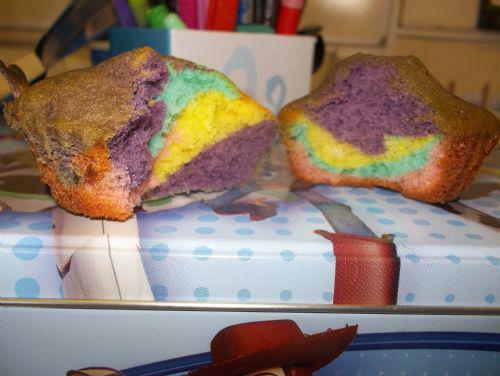 Year 4 have created their own Growing Granny, check our new article to find out more! 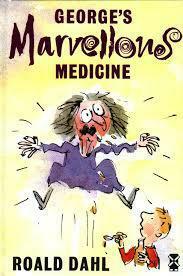 Year 4 have been creating lots of magical potions- just like George in George's Marvellous Medicine. Follow our instructions (under articles) to create your own magical fortune telling potion! Important news: On Monday the 12th of November Year 4 are going to be visiting Coppull Library to learn lots of interesting things about the history of Coppull. Please ensure you bring a warm, waterproof coat and waterproof shoes incase of bad weather. 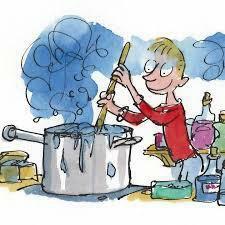 Monday the 24th of September was Roald Dahl Day.Click on the Roald Dahl link to read about all the fun we had and see some pictures of our fabulous costumes! Click on the African mask article to read about all the fun we have been having in art. 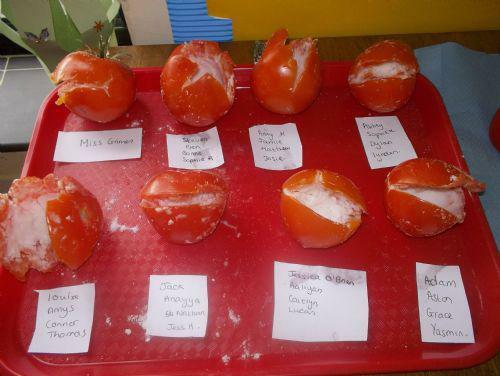 Year 4 have been mummifying tomatoes. Keep checking the Mummified tomatoes link to see what changes take place to the tomatoes over the next few weeks! Check the Mummified Tomatoes article to see what happened to the tomatoes after one week.